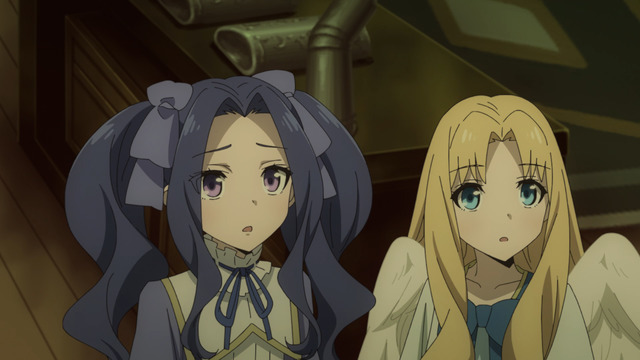 Archive for Tate no Yuusha no Nariagari. At least he's not in high school. At least the weather's nice. I'm unsure this reasoning necessarily follows, mostly because I've not seen any indication that the Tate no Yuusha no Nariagari protagonist is particularly popular with anyone, regardless of how they like the show. I suppose this might be because he's been pretty much a grumpy sourpuss for most of the show so far. With a week-long break between the first and second episode, I did feel less inclined to appreciate why he might be in such a foul mood. Maybe someone who marathons the series in the future will be more sympathetic. 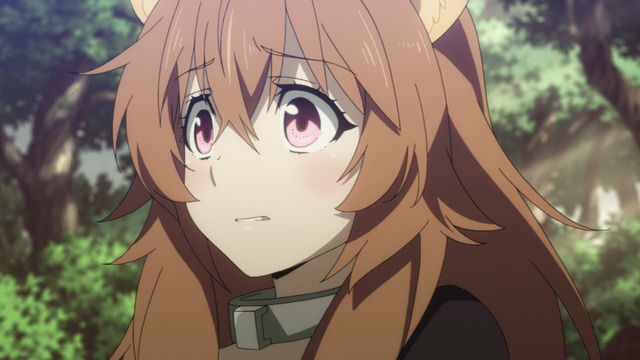 Thankfully, the animation has been surprisingly good, at least for moments that need it, such as while showing Raphtalia's terrified expressions turning to relief during early interactions between Slave Hero and his bargain bin acquisition. Oh yeah, apparently there are going to be a lot of slaves in this show? I'm not sure if that's true, but I did read that somewhere. 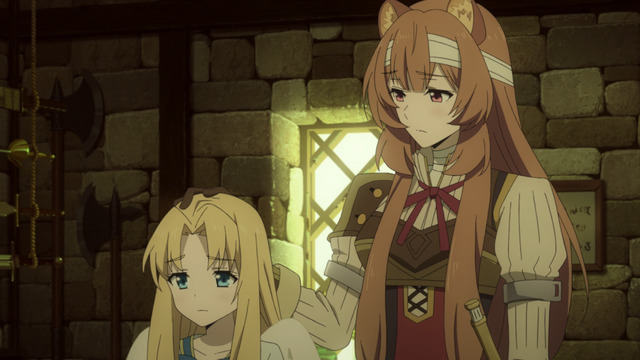 He's only got the one, for now, but Shield Hero is set to run for two cours, so there will be plenty of opportunities to buy more, especially considering how cheap they are on the seemingly unregulated open market. There sure are a lot of kids in this show. 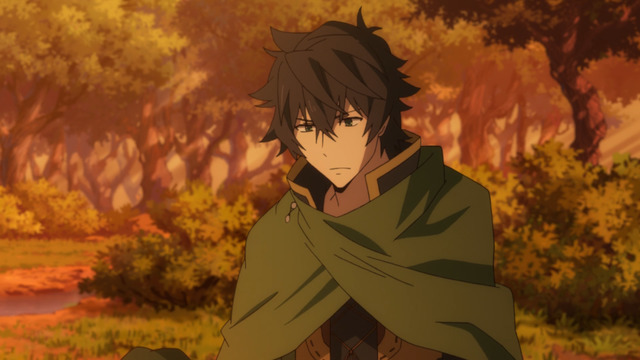 It's been 10 episodes and the titular protagonist of Tate no Yuusha no Nariagari (The Rising of the Shield Hero) has leveled up a bunch of his video game attributes, but doesn't seem to have improved at all as a person. Bear in mind the show is now quite a few episodes past its "big moment" with someone finally sticking up for Naofumi while he's balled up on the floor retreating from the world. It's almost as if Naofumi isn't really a very nice person even though he's kind enough to feed his slaves every day. Regardless of how a viewer might feel about Naofumi initially (and I can appreciate that there may be those who commiserate with him on at least some level and genuinely believe he got a raw deal, even if I don't personally hold that perspective), it seems even the most sympathetic fan must surely by now also be tired of his arrested emotional state. After all this time he's STILL suffering from a crippling inability to trust anyone? You know, maybe the problem is you, dude.